Any mom of a toddler will probably tell you that bath time can be a challenge. 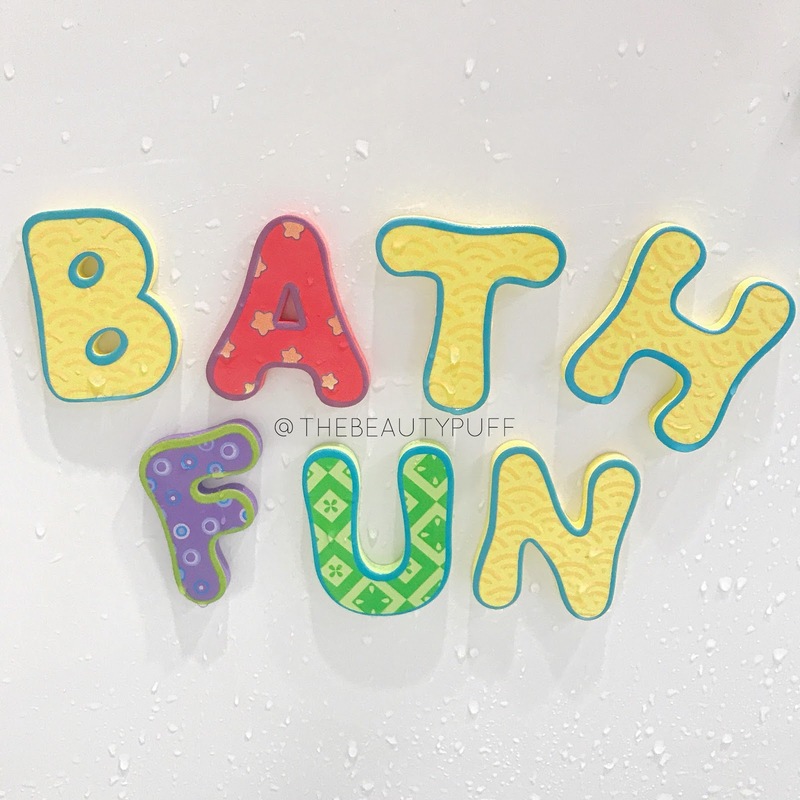 I want my little one to enjoy bath time so I love finding great bath toys she gets enthusiastic about. Nuby makes an entire line of affordable, interactive bath toys that make bath time fun and enjoyable for everyone. 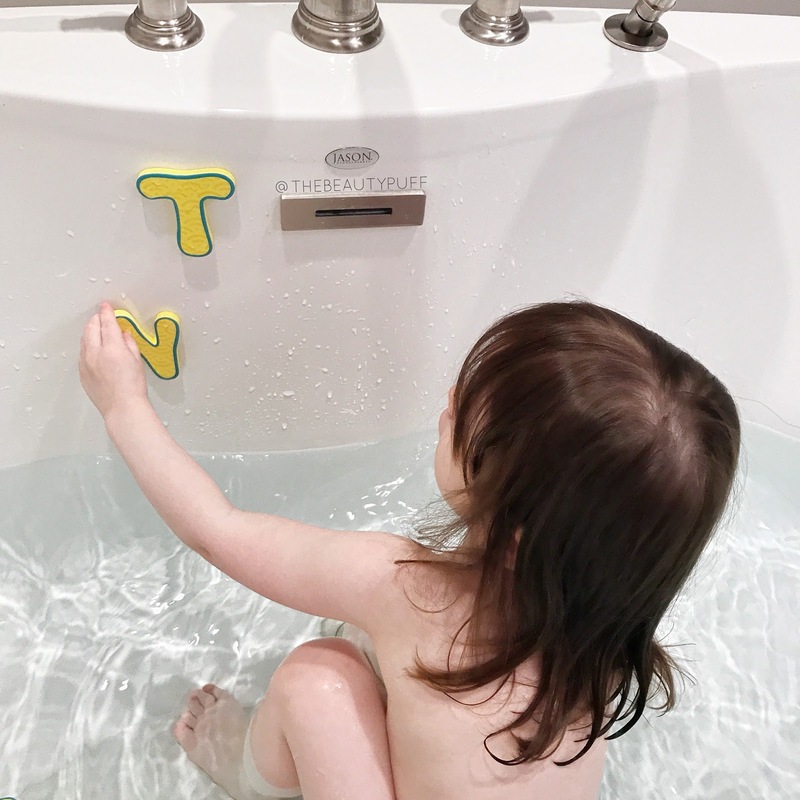 One of our favorites are the Bath Letters and Numbers. They're fun and educational at the same time! The Nuby Bath Letters and Numbers set comes with the entire alphabet and numbers 0-9 so your toddler can learn about spelling and counting as they have fun in the bath. They are made of foam so they float in the water until your little one is ready to spell and count with them. One thing I really love about these letters and numbers is that once they're wet, they can be stuck to the side of the tub! My little one gets so excited being able to create or doing anything artistic so these are right up her alley. 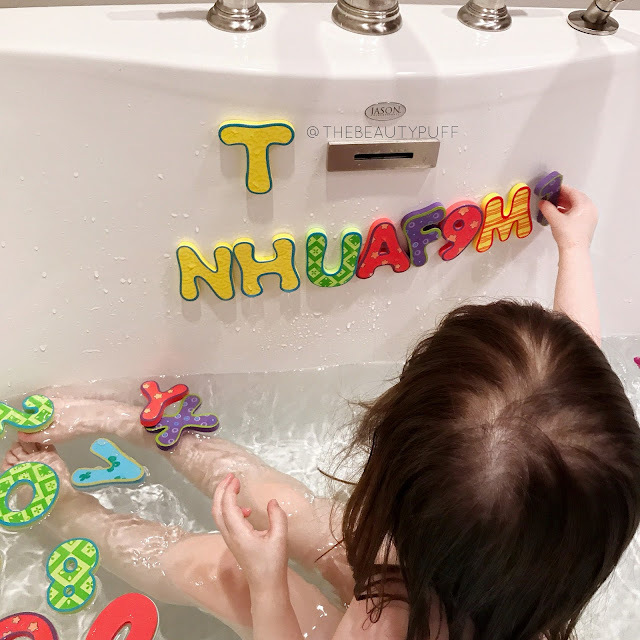 This set gives her a chance to name her colors, letters and numbers all while having fun in the bath. She feels so proud spelling on her own too, even if it doesn't quite make sense just yet! The Nuby Bath Letters and Numbers are Phthalate and BPA free. They come in vibrant colors that are eye-catching and keep my toddler's interest all the way through bath time! She never wants me to put them away. But, when it is time, they clean up really easily and dry quickly so they're ready for her next bath. I love having more interactive toys she can learn from during her baths! You can find Nuby Bath Letters and Numbers at Meijer, Baby Depot and below on buybabydirect.com. Discover even more from Nuby here!